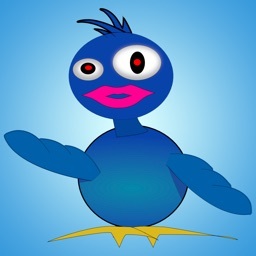 Pocoyize by Zinkia Entertainment, S.A.
Would you like to give a nice touch to your social networks with a Pocoyize avatar online? 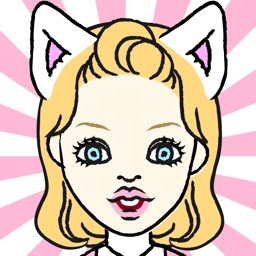 If you always use the same profile pictures or caricatures and you want to try something different, download the app Pocoyize. 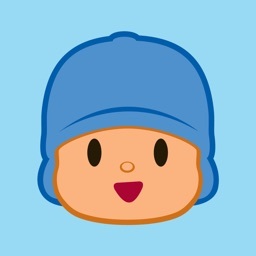 You will be able to create a fun avatar online with similar characterization of Pocoyo for yourself and use it in Facebook and other social networks. 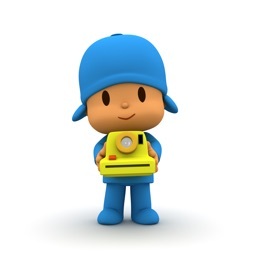 You can also use it to play at world Pocoyo. 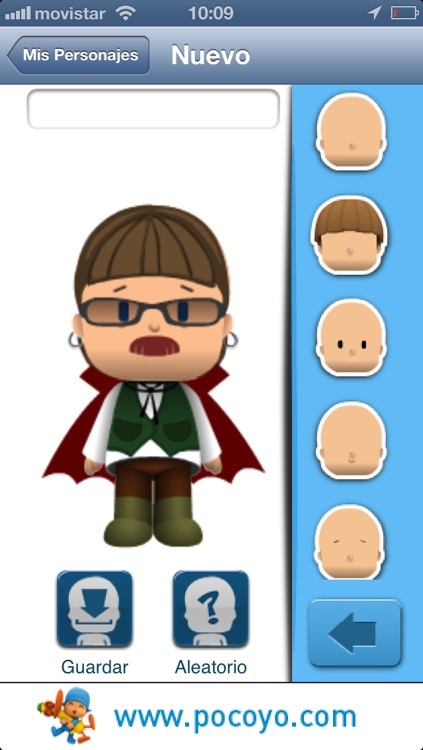 With Pocoyize App you can customize your characterization, making it look as much as similar to you. 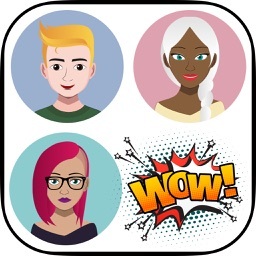 With this app you will have in your Smartphone a version of your favorite cartoon characterization very similar to your style. 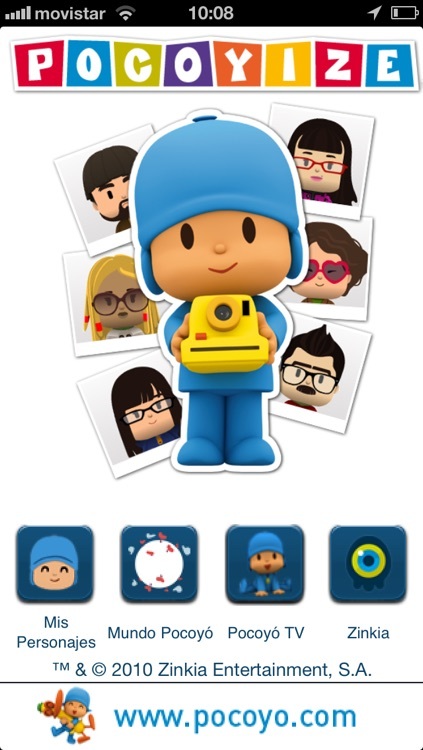 Forget the old cartoons and typical profile pictures for your social networks. Use avatar online of Pocoyo. 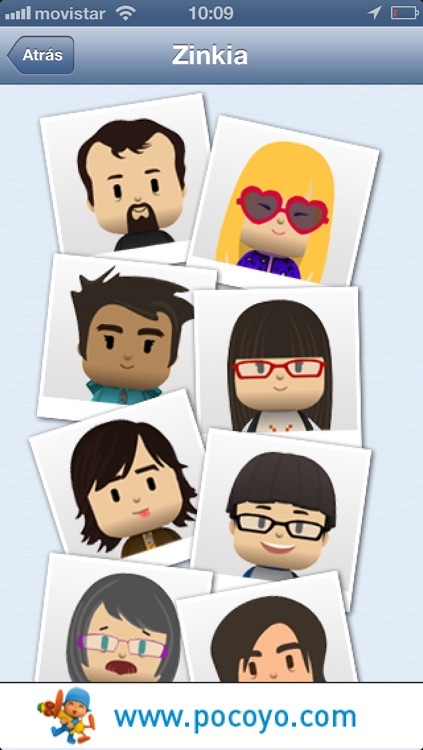 In addition, if you want to have the agenda of contacts coolest, also you can create a characterization for each of your friends and save the caricatures in your mobile to identify them when they call you. If you love your creations, you can share them by email or multimedia messages. 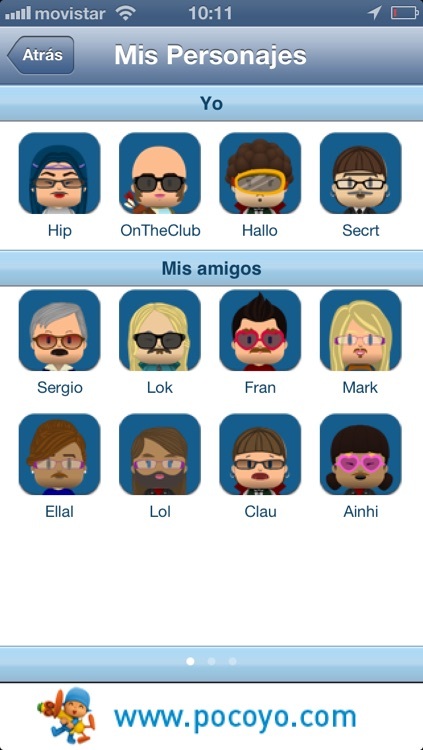 Once you have the app in your device, if you want create an avatar online for your profile pictures, you can set the language which you want for the app. Look up available languages, as well as other important details in the tab or the description of the app that is located in your app store. 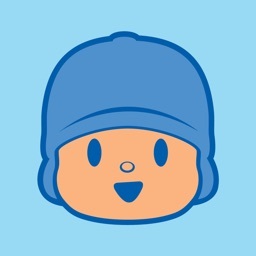 Begin to enjoy already with your characterization of Pocoyo in your profile pictures. You will be the envy of your friends. 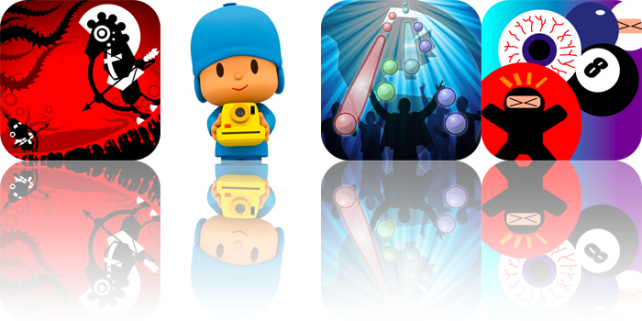 • The tool that has revolutionized the net, with over 6,000,000 people "pocoyized". • Support your national team by wearing its colors, there are 32 to choose from. • Save all your characters and change them whenever you want. • Send images of your creations via e-mail or MMS message. • Share your creations with your friends on Facebook. 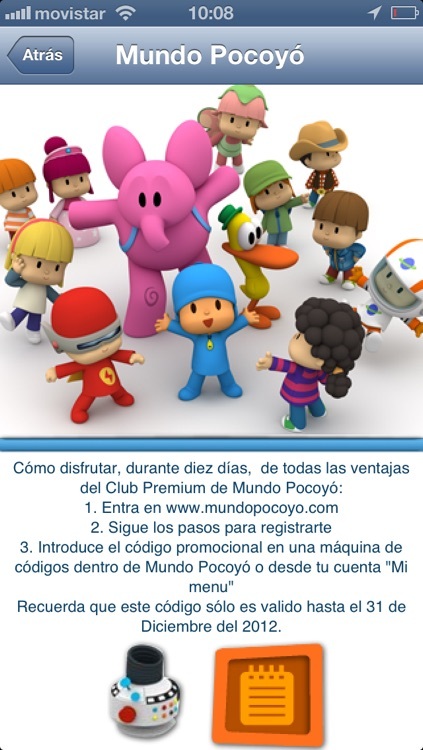 • In addition, enjoy 10 days with all the advantages of Club Premium at Pocoyó World (www.pocoyoworld.com). Today's AGF list includes a rhythm-based game, a Scorched Earth inspired game, a time-based platform game, and an avatar creator.